Wayanad parliamentary constituency has a high Muslim population and widespread agricultural distress, strengthening Rahul Gandhi's chances in elections. With Rahul Gandhi contesting from Wayanad and his family borough Amethi in Uttar Pradesh, the traditional Congress bastion in Kerala is likely to be a safe haven for the Congress president in more ways than one. Ever since Wayanad was carved out as a separate parliamentary seat after the 2009 delimitation exercise by the Election Commission of India (ECI), Congress leader MI Shanavas has won two general elections here. In the 2009 and 2014 elections, Shanavas swept every single assembly constituency in Wayanad by garnering almost half the votes. That’s got a lot to do with the religious composition of Wayanad parliamentary constituency. Three out of the seven assembly constituencies in Wayanad are in Malappuram district, which has a Muslim population of 70 per cent--the highest in Kerala. According to the 2011 census, Kerala’s population is 33 million. A third of Kerala’s nine million-strong Muslim population lives in Malappuram district. In Ernad and Nilambur segments of Wayanad constituency, Muslims comprise 72 per cent and 58 per cent of the population respectively. Christians, the other minority group, make up just about two per cent of the district's population while Hindus make up for the rest. Three other segments are in Wayanad district have a Muslim population of 29 per cent. Christians make up almost 21 per cent of Wayanad district and Hindus half the population of the state. In the sub-district of Kozhikode where the other non-Waynad segment named Thiruvambady is located, Muslims constitute almost 43 per cent of the population. For the entire Wayanad parliamentary constituency, Muslims make up almost 55 per cent of the total population. The Congress has swept Wayanad despite there being other Muslim candidates in the fray. In 2014, there were four Muslims in the fray, including Shanavas, who won. In 2009, there were six Muslims contesting from Wayanad and Shanavas won almost half the votes. In the 2016 assembly elections too, the Congress managed to win one of the three assembly constituencies in Wayanad despite losing to the Left Democratic Front (LDF) at the state level. What could serve as a booster shot for Gandhi in Wayanad is that not just are electors predominantly Muslim, but that more than half of them reside in rural areas and are engaged in manual labour or agriculture. Malappuram is the poorest of Kerala’s 14 districts. According to Kerala government statistics, the per capita income of Malappuram was almost Rs 97,836 in 2017-18—lower than the state per capita income of Rs 1.3 lakh. Wayanad had a per capita income of little over one lakh rupees – again significantly lower than the state and national averages. 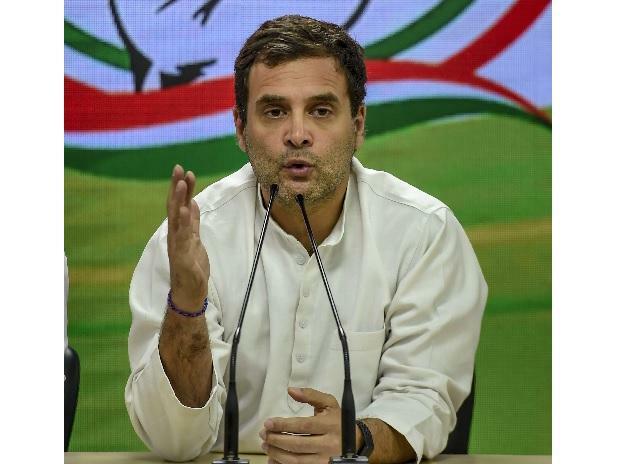 What further reinforces Rahul’s chances is that one of his landmark pre-poll announcements of providing poorest households with Rs 6,000 every month through a scheme called NYAY may appeal to voters in the constituency. More than 75 per cent of all households in Malappuram earn less than Rs 5,000 a month. Almost 80 per cent of all households in Wayanad fall in this category of lowest earners. If included in NYAY, Gandhi’s proposed scheme could potentially double the monthly incomes of a majority of the households. Census data shows Malappuram has the highest proportion of households deriving their livelihoods from manual casual labour. As many as 65 per cent of all households sustains by engaging in casual labour – higher than the state and national averages. In Wayand too six out of ten households are engaged in casual labour to survive. What reduces the earning potential of this poverty-stricken constituency is that one out of ten children drop out of primary school. This again is the highest among all districts in Kerala. With almost two of ten workers in Malappuram engaged as agriculture labour or cultivators, agriculture too has proved to be less sustainable over the years like it has been in the rest of the state. In Wayanad, almost half of all households fell in this category. From 2014 to 2018, the gross value added in the agriculture sector in Kerala declined by almost 2.4 per cent. In Malappuram, gross value added in agriculture fell 1.5 per cent. Wayanad was even worse off having witnessed a decline of almost 10 per cent. With agricultural distress high in these areas, Rahul’s poll pitch of farm distress could reverberate with voters. While Gandhi’s narrative may resonate in Wayanad parliamentary constituency given its economic situation, the political circumstances are also conducive for his wide acceptance among voters. Malappuram has been witness to violent clashes between Communist Party of India (Marxist) or CPI (M) and the Indian Union Muslim League (IUML). CPI (M) cadres have been accused of attacking IUML processions during religious events like Milad-un-Nabi while many IUML members are suspected to have hacked Communist cadres to death in the constituency. The CPM-IUML political rivalry and the ensuing violence has often kept the area on the tenterhooks. With Gandhi deciding to take on the Communists in Wayanad, Muslim voters may well be inclined to give the Congress president a thumping win in his maiden electoral foray down south.